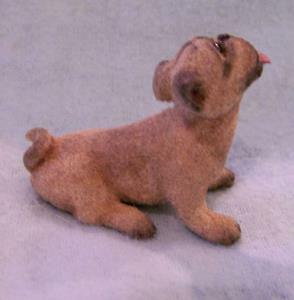 I'm offering this little pug for auction this week. 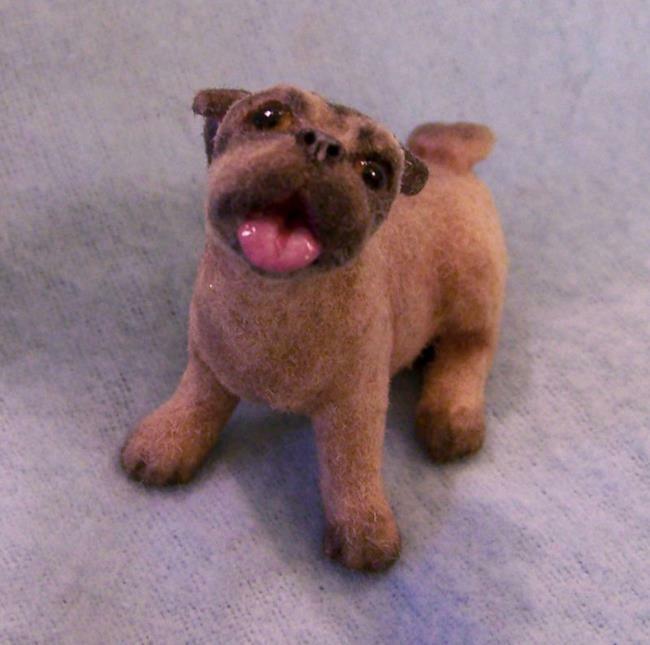 I first carefully sculpted him in polymer clay, painted the tiny details with acrylic then applied hand cut alpaca flocking. The eyes were made separately using a variety of media then cured into the sculpture. I used pastels for his soft color variations then a sealant to prevent transfer. 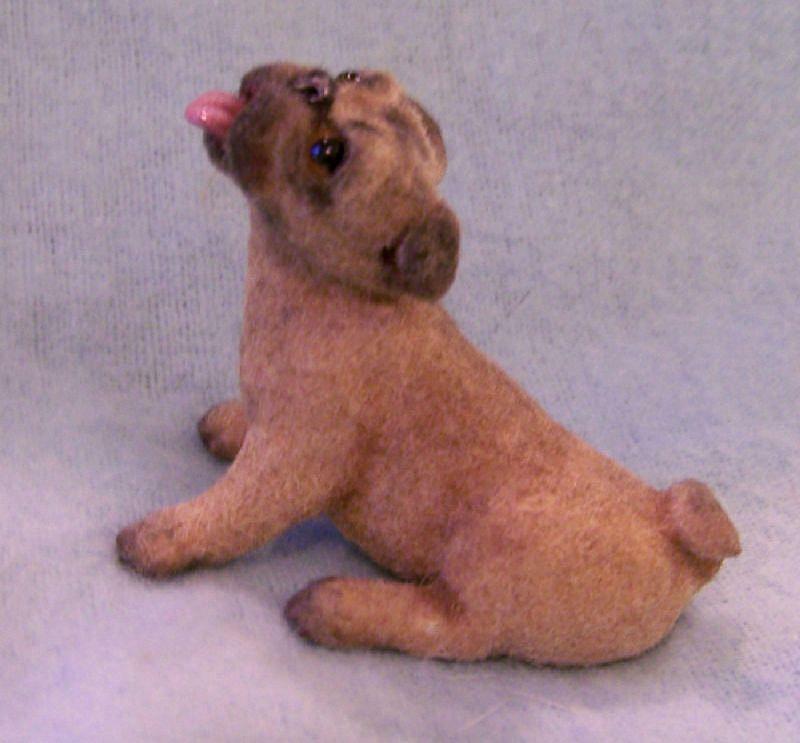 This little dog will arrive with a signed, dated and numbered certificate of authenticity that may be verified through the ebsq site. 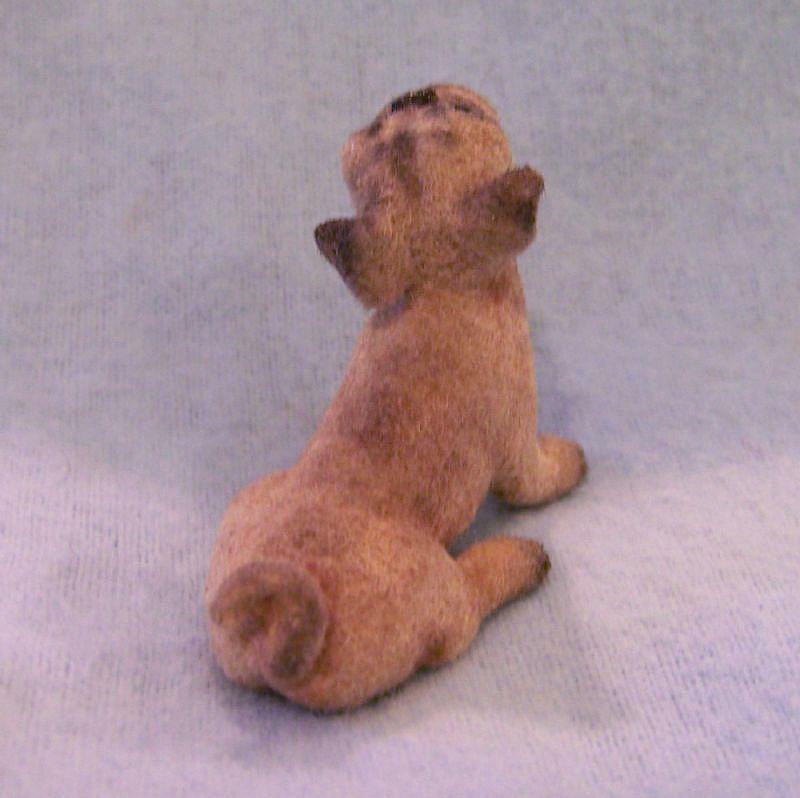 This would make a great addition to your dollhouse or original pug collection!